Absolution: Episode Two – “Gresham” from Absolution TV on Vimeo. This is episode two of the internet-based TV Show, Absolution. This episode introduces a new character to the group: Roeber. Is he a friend to the survivors? Or does he have his own selfish motives…? This entry was posted on Saturday, September 6th, 2008 at 11:02 pm by Nathan and is filed under Season 1. You can follow any responses to this entry through the RSS 2.0 feed. You can leave a response, or trackback from your own site. Woah, I'm glad I stayed up, that was amazing. I hope we'll continue to see a trend of excellence. GAH!!! DON'T STOP IT THERE!!! I WANTED TO SEE MORE!!!! GAH!!!!!! Amazing Guys, as always. I can't wait for episode 3!!!!! You guys done good. Wow, that actually was pretty good. Huge thanks to Gabby though, who made this episode with her piano stuff. I loved the Monè theme the most probably. The blood actually looked good this time! Good job, Micah. My only problem was the length! I can't believe how short it is… I wrote that thing for 17 minutes! And we ADDED SCENES!!!! Sheesh. Well, here's to EP 3… Which I'll hate doing the FX for, lol. lol I love how my brother slams into the camera at the end. Oh a few other things I forgot to ask/mention. Nathan, did you change the color correction on a few of the scenes? They look a bit different from what I remember (but they look better overall, so good job). Also, I'd like to thank everyone who helped create this episode, and so on and so forth. Everyone did an amazing job. The voices were so much better! It sounded and looked great, good job guys! Yeah I did. Some looked really bad when I gave them a second look. Also, I figured out how to make some stuff work better when it came to color correction. I can see my house. Nice job on Episode 2. Good job guys. It was great. By the way: I'm glad you liked that song Laura, thanks. It was very good. Good job guys. It should have been longer though! I didn't learn that much about Gresham for an episode that's named after him lol. I feel like I learned more about Green's character than I did about Gresham. C. wonders: what happened to the steady cam? Chelsea says: There were a couple of jerky camera movements. C. and Chelsea say: extremely good music and good use of it. C. says: kudos to Micah's acting. If Ash was the break out actor of the first epsiode, Micah was this time. We're curious, who played Gresham's father? C. says: the scene where Green meets Gresham looks like they were doing target practice lol. They were awfully non-chalant about having “the infected” rushing them. C. says: did Green just kill his own sister? We think: it was a lil hard to follow at certain parts. C. thinks: maybe it needed to be filled out a lil more. It moved too quickly. Aside from these few points, it was another excellent job. Laurel you are right that is our house! Keep up the good work gang, you all must be doing something right cause i want to see more. I am impressed. Haha, that was pretty awesome. This is coming along quite nicely. I liked the dialogue and the slightly longer scenes. Keep it going guys and let us hear and see more character interaction. Good job. Remember that your want to “see more”, does not mean that Absolution is doing what is right. You should let the Bible tell you what is right and wrong, which I am sure you will do in the future. We all should let the Bible be our foundation so that we may have good judgment. Once you do this I believe that you will see that the things Absolution is teaching is not according to want Christianity stands for. Look at the comments on Episode #1 if you have not already. In them, I bring up some questions that Absolution has not answered (for what reason I’m not quite sure) on the bases of what the Bible tells us what is right. They say that they believe in the things taught by the shows they made. Here are some of the things that Absolution is standing on, please read through them and think about them as you then read the beliefs that the Bible teaches. Compare and contrast, look at the Bible so that you may see that I am not making these things up. All the things that Absolution stands on is recorded in the comments on Episode #1 if you want to read the entire discussion. that no one can take it away from us. helping a Hebrew, a man who hated his kind. There are more, but if you want the rest, look at the comments on Episode #1. Remember, when we watch a show, we are feeding off of it, letting ourselves learn from it. Even if we know it is bad, we must ask ourselves, why then are we watching it, why are we spending the time God has given me to linger in our old sinful self, or being entertained by watching others sin. Be strong, Russ, seek to study God’s Word so you may be able to tell what is of God and what is not. The second show is somewhat worse then the first, the plot does not show any signs of resolution or absolution. The audience should know the plot by now, and get a hint of how this problem gets resolved. Enough about the second episode for now, I have a something more important to say at the moment. You have avoided the main problem of my last two comments that I addressed to Absolution on the first episode! Twice you have neglected that I have said: God would never force people to forfeit their salvation. You instead have answered questions that where not there or you are repeating without any backing. Did you even read my last comment? Look at the fourth paragraph again! What does it address? It addresses that Absolution is teaching that God is a killer and not a redeemer! Yes He has a narrow way that we must take to be given eternal life, but He never condemns people’s souls by a virus that takes away their salvation. A virus that people DID NOT CHOOSE TO GET! Did you get it that time? Maybe you should read this paragraph again. Stop avoiding the question. Christians should teach what is right, if this is your aim. If you feel that you are right, then you will defend YOUR STANCE that God wants to condemn mankind. Remember what Gabby said! This show is sickening, and is worse then those powder-puff Christian films, because it has no scriptural backing. You're right, CharlieJB, you haven't understood the Bible until you've read from Genesis to Revelation. So look at the book of Genesis again. Right after we are told about the fall, God comes to the man, the woman, and the serpent and he lays out the plot of redemption for mankind. Right after they sinned we know what is going to happen. So Absolution should say that the view that they are teaching at the moment are wrong, but look at their statements on the first episode. They apparently don't agree with what you are saying, because I have asked them questions about their wrong teachings, and they say that those views that they are teaching are the right views, and not the wrong decisions of the characters. Ask them what they believe. I have asked them, and they have said that they are teaching what is right, though it’s not. They have given me a glimpse into the future episodes by the beliefs they hold. Look at the comments to episode one, but if that is to long for you, I have condensed what they and I have said over the past few weeks on the two comments I have written to Russ (the second one is a clean copy of the list that was in to first, but the comment was somehow scrambled when I pressed the post button, so refer to the second for the real list). This is a show that is teaching that God is some sort of god that delights in the death of the sinner (Gabby's observations on the first episode, and no one in Absolution responded to correct him, so they are agreeing with Gabby, because when I voiced my concerns, they said that I was wrong, yet still left comments like Gabby's uncorrected. Thus they believe it because I mentioned these comments to them). So before you give it any more support, follow the suggestion that I gave to Nate and Chelsea. I suggest that you read my responses to Nate and Chelsea (the last two of my comments on episode one), and think about what I have said, then tell me what you think after you have time to examine what I have said along-side the Bible. Don’t just take what Absolution says for granted, or what I say for that matter, look at the Bible, and ask Absolution what the story is really teaching. I would like to hear your thoughts about this subject once you have read the comments. And asked God to show you what to do. Another awesome episode, can't wait for more. Great job guys. I'm gonna keep it short cause these conversations are just way too long over a simple topic. If you take the verse where David slept with Bathsheba and look solely at it then you can bring nothing good from it. But if you widen your viewing angle you see how God corrects it and what happens because of it. Let the show flesh out. The Bible is nothing but a big story and throughout the Bible there is murder, homosexuality, adultery, violence etc. etc. etc. So, if you say that this show is doing wrong on that basis then you might as well tell God that He is wrong. Correction, these are not simple topics. Did you read my last comment to you on episode one? I explain very thoroughly the reason why this problem is in need of immediate correction. I said that the problem does not lie with the manner that the story is being written, but in the teachings that are founded off the author’s beliefs. If you have been reading the comments that I have been writing, then you already know that the problem is not something that can be overlooked. You have used the Bible for the defense of Absolution, that is good, but you left out something. What happens in the Bible? David already knows that he has sinned because the Bible already stated several times in the previous books that it is a sin, and David is aware of his choosing to sin because he knows the laws of God. Yes the story fleshes out, but the reader already knows that God does not approve (because he has made it so plain, He does not have to state it again at the beginning of story of Bathsheba). Now Absolution does not say that the characters are doing what is wrong, in fact, it says the opposite; Micah says that the characters are doing what is right. Problem!!! Now I feel that you are assuming that I do not know where the writer is going with the story. I have said in my comments several times already that the writer has already stated that he BELIEVES in the action and teachings of the characters. Now, tell me again what makes you think that if the writer believes in the evil, that he will write the opposite of that belief? Read that sentence again (for nobody is taking heed of that question) and answer that question, not off the top of your head, but talk to the writer about the story and what he believes then look at the other comments that I have written and, more importantly, the Bible. I hope that I have made it simplistic enough for you to understand (seeing that nobody seems to be reading or understanding the other comments). P.S. Go back and read my last comment to you in episode #1, print it out and highlight the problem points I state and answer those statements. You may be surprised at how big this problem really is. If you think that the writers of this show think killing is right, believes in evil, or whatever else you're claiming, I'm going to have to disagree, because I know these people, they are strong Christians, and this TV show they're making will reflect that despite what your limited perception of it is. But seeing as it's obvious you'll never change your mind about any of this, combined with how ridiculous your claims are, I probably won't be arguing with you. About me, you said: “But seeing as it's obvious you'll never change you mind about any of this, combined with how ridiculous your claims are…”. Well, it is obvious that you have not been reading the comments by Micah. He states very plainly that he agrees with the killings. As for believing in evil, he does when it comes to his interpretation of God. I have been saying these things since the beginning of this argument, they are not my own, but the correction that the Bible gives. I advise you look at the comments of Micah and myself on the first episode. You may be surprised at how little you know about your “friend's” beliefs. As for my “ridiculous claims” (as you put it) I have quoted both Absolution comments and the Bible. The ridiculous claims are ones that are made with no backing, what-so-ever. If you are going to defend or attack something, then you should be able to quote your sources. I have done just that in my other comments ( I don’t have to state them again do I? ). Just because someone is a Christian does not mean that they are beyond teaching the wrong thing. Look at the comments I have written and those of Absolution before you make any more comments, because it is obvious that you are defending a position, but have not taken the time to research the arguments of the other side. Do the research, read the comments, read the Bible; it is all there, just put aside your assumptions first. 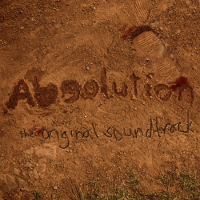 Absolution's original goal was possibly right and honorable, but it has not been carried out in that way. Let me just make this a whole lot shorter and save some time. Say I'm playing a board game like risk with my friends. I decide that I want Africa for myself so I go and I win and take over Africa and kill all of my friend's men in Africa. Was that wrong of me? From absolutions biggest fan Phillip F.
If a board game was real life, then yes, it would be wrong. The game of Risk is a contest, much like baseball, soccer, or other. But I am sure that you are able to understand that a game is much different then real life. If you were to really kill your friends (or anyone else for that matter) you have committed murder. I am sure that you understand, right? Even in a board game, though, if your motives change from a friendly competition to a punishment for something they did earlier (like calling you names or for embarrassing you), then you have sinned in your heart. (Matthew 5:22- But I tell you that anyone who is angry with his brother will be subject to judgment. Again, anyone who says to his brother, ‘Raca,’ [contempt] is answerable to the Sanhedrin. But anyone who says, ‘You fool!’ will be in danger of the fire of hell.) What are you motives in the game, to enjoy friendly competition, or to satisfy your frustration or anger? Good episode, I liked the music for the beginning Charlie did an excellent job with that. As far as acting goes you all had it. And this story is not real life. End of story. from Absoklutions biggest fan Phillip F.
HEAR WHAT I SAID TO YOU!!!!!!!!! For starters, yes, when Adam and Eve sinned we knew what was going to happen. They had to leave the garden and live in a world of sin. But it wasn't until thousands of years later that God's plan through Jesus began to be revealed through the prophets. That took a long time, and there was a lot of conflict and many problems up until then.